Beginning with a visit to Uji (Uji is where the aristocrats of Japan’s Heian period had their private villas) near Kyoto with the wonderful Mimurotou-ji (三室戸寺）　and the World Heritage listed Byoudoin (平等院） amongst ohers, we are heading to Koya-san. This monastery & university contains more than 100 temples, is listed as a UNESCO World Heritage complex, and is one of the most sacred sites in Japan. 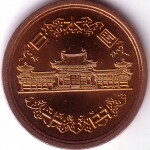 Byoudoin – 10 Yen coin. Before Koya-san, we will start with a brief visit to Uji in Kyoto. 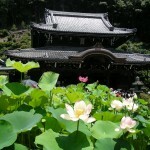 These days it is a major destination, famous for beautiful scenery, including some incredible temples such as Mimuroto-ji and Manpuku-ji, and of course, the Byoudoin – a Heian period architectural and artistic wonder nearly 1000 years old, which you have seen before on the 10 yen coin. 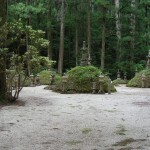 Our first stop is Mimuroto-ji (三室戸寺), a temple with an extremely beautiful garden. 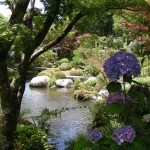 Popularly known for the hydrangea flowers that are blooming at this time of the year, it is worth a visit in any season, but is exceptional at this time of year. If you are into photography, you will love it. Next destination is of course, the fabulous Byoudoin. One of the most beautiful and most visited places in Japan, Byoudouin was placed on the World Heritage List in 1994 by UNESCO. 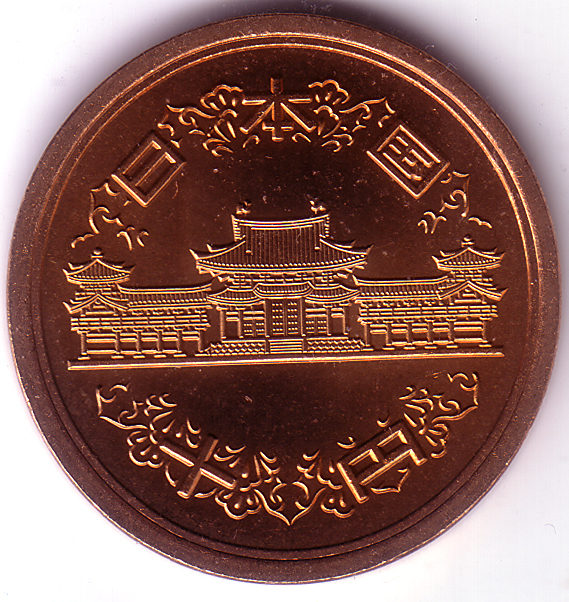 You have probably seen this building before, as it is on the Japanese 10 yen coin. 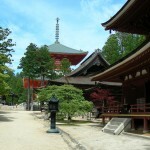 In 1052, a man named Fujiwara Yorimichi decided to convert one of his father’s villas into a temple. At this time of Japan’s history, there was a gradual shift from aristocratic rule, to governance via a military set. This was in the middle of the Heian period (794-1185), and while the Emperor ruled in name, it was his advisers who really held actual power, in particular, the Fujiwara. 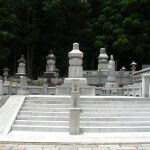 During the 10th and throughout the 11th century, the northern branch of the Fujiwara family controlled the royal government by maintaining a monopoly on the posts called “sessho” and “kampaku”. The role of Kampaku in particular was extremely powerful, as the Kampaku was the chief adviser to the emperor. Fujiwara Yorimichi, was the Kampaku. 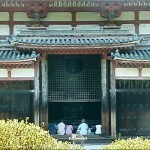 Front of the Phoenix Hall, with face of the Amida visible through the lattice. 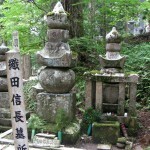 His father, Fujiwara Michinaga (966-1028) represented the peak of the Fujiwara family’s power. Four of his daughters became the emperor’s consorts, three of whom gave birth to future Emperors. By this stage the imperial court had been reduced to nothing but ritual, totally divorced from the governing of the country. 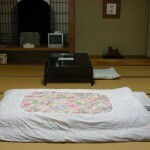 Meanwhile, the Fujiwara and other noble families used the wealth of the nation to live in leisure and comfort, surrounded by arts and leisure unimaginable to the lower classes. Luxurious villas such as those of Fujiwara Michinaga at Uji, and other beautiful locations, were lavishly designed and decorated. This was the beginning of Byoudoin. The wealth and leisure that surrounded the aristocrats of this era created and encouraged the demand and appreciation for beautiful works of art, design and high culture. It was in this context that Byoudoin was established. 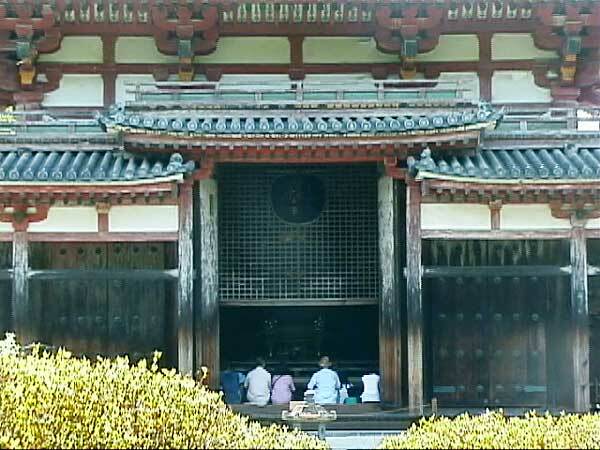 In 1053, Fujiwara Yorimichi had the Amida (Amitabha) Hall built around the Ajiike Pond in order to house a statue of the Amitabha Tathagata (Amida Nyorai). This Amida Hall is elegantly designed to represent the image of a many-storied building as depicted in sutras. 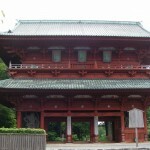 The Amida Hall is more commonly known as the Phoenix Hall (Hou-do), and of the many buildings in the originally constructed in the complex it is the only one that has been able to stand the test of time. 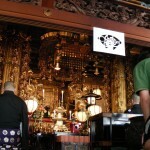 Fires, earthquakes and floods, even the Kusunoki Hatakeyama Civil War (1336) and the Onin Wars left the hall in peace. Depending on whether the traffic allow us to be on schedule, we will also visit Ujigami Jinja, the oldest original Shinto shrine in Japan. 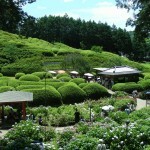 It is a fascinating destination in itself, and one that we always visit during other field trips to Uji. 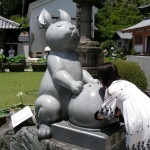 Today though, our main destination is Koya-san. Karesansui Garden inside our usual temple. We visit this amazing place twice a year, usually in June and then in the early winter, before the snowfalls make logistics more difficult. 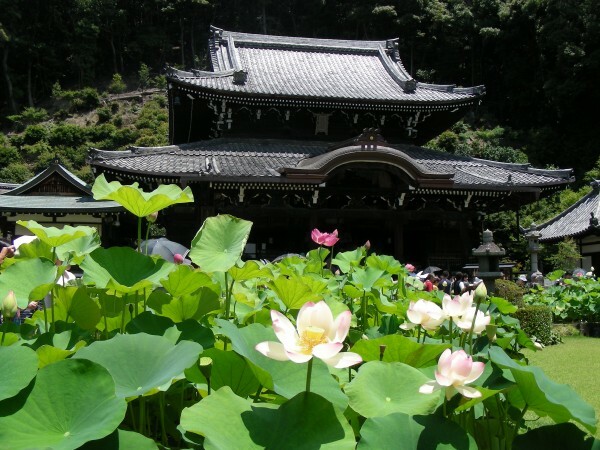 The shape of this valley resembles a lotus flower, and is the reason why this site was chosen by Kukai, the founder of this awesome place, in the year 819. The monastery is located in a valley, 820 meters above sea level, surrounded by the 8 peaks of the mountain. It is a nice respite from the summer heat and humidity. We are here for what is an unforgettable experience. Shojin Ryouri & Shukubou. 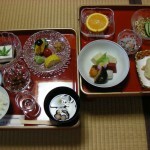 Shojin Ryouri is the perfectly prepared and presented vegetarian cuisine of Zen temples – a sort of “Buddhist foodporn”. 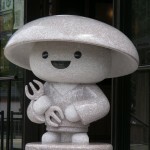 The food changes constantly with the seasons, and is incredibly good. 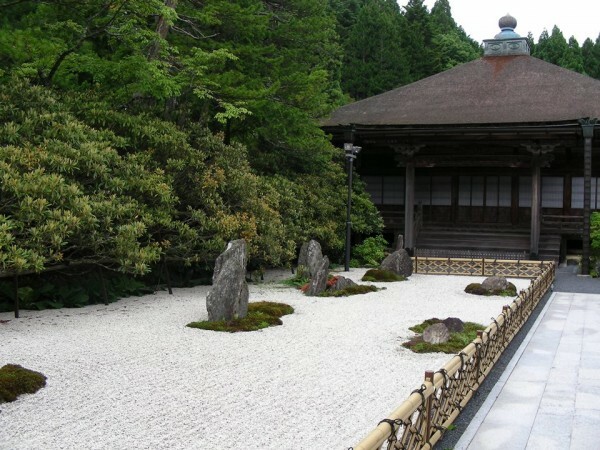 Shukubou is the temple stay, the chance to sleep overnight in a beautiful temple with superb rock gardens, and experience the morning service. 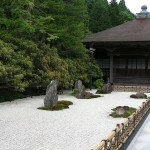 We will spend as much time as possible on Koya-san, exploring the rock gardens, and the amazing cemetery of Okunoin. We return via Kyoto. A winter version of this trip is also scheduled each year. 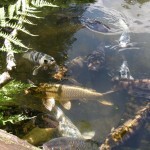 Mimurotou-ji koi （鯉/こい）。If in a suitable environment, these carp can live for up to 180 or so years. Roughly double a modern human lifespan. 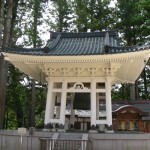 Koya-shiro bell tower. 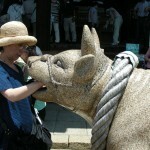 Cast in 1549, it is rung at 4am, 1pm, 6pm, 21pm and 11pm. In the center of the complex. Grave for employees of the UCC coffee company.